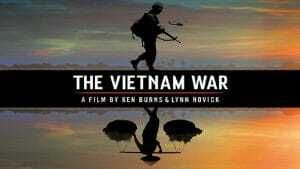 The Vietnam War, the new epic documentary film series directed by Ken Burns and Lynn Novick, comes to CPTV this September. The first five episodes of the 10-part, 18-hour series will air nightly from Sunday, September 17 through Thursday, September 21, and the final five episodes will air nightly from Sunday, September 24 through Thursday, September 28. Each episode will premiere at 8 p.m. with a repeat broadcast immediately following the premiere. In an immersive narrative, The Vietnam War tells the epic story of the Vietnam War as it has never before been told on film. The film features testimony from nearly 100 witnesses, including many Americans who fought in the war and others who opposed it, as well as Vietnamese combatants and civilians from both the winning and losing sides. Ten years in the making, the series brings the war and the chaotic epoch it encompassed viscerally to life. Written by Geoffrey C. Ward and produced by Sarah Botstein, Novick, and Burns, it includes rarely seen, digitally remastered archival footage from sources around the globe, photographs taken by some of the most celebrated photojournalists of the 20th century, historic television broadcasts, evocative home movies, and revelatory audio recordings from inside the Kennedy, Johnson, and Nixon administrations.